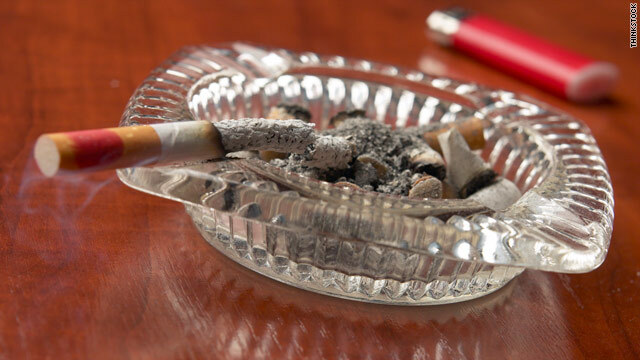 The study found that having multiple smokers in the home resulted in more illnesses reported and days of school missed. For example, a child living with 2 or more adult smokers had more ear infections– three or more–in a year, than a child living with no smokers or even just one smoker. An increase in illness was not the only consequence smoking at homr. Levy says there is a financial burden as well because parents or other caregivers must take off work to care for sick children. "When kids are home from school, particularly young kids, the cost overall is $227 million dollars per year. All due to the extra days that we see kids missing school because of secondhand smoke exposure," said Levy. Adults in non-smoking households were more educated, had higher incomes and were more likely to be Hispanic the study found. Homes with 2 or more smokers also had higher incomes but were more often white. About half the kids in the study that lived with a smoker were from low-income households Levy said. His advice to parents? "If you are a smoker do not smoke around your kids whether it be at home or in the car. Even better advice is to try to quit smoking." The study was not without limitations. Children over 12 were excluded from the study because of the possibility that exposure could be due to their own smoking. And study authors acknowldege their measure of tobacco smoke exposure was not precise and they were not able to measure exposure that might have happened outside of the home. Next entry »What are Mongolian spots? Look into vacuums such as a roaibnw which keeps the dust in water in the vacuum rather then spit into the air OR get a vacuum that have Hepa filters on it. These type with the Hepa filters trap the dust from escaping into the air. I suggest you call a used vacuum dealer and gets some ideas of what they have. Good luck! You have a couple opionts:1. Do nothing. But you probably don't want to do that, and you probably should not do that.2. Tell her if she loves you and herself and her life, to stop now. At this rate, she'll one day lose her voice, make her skin bad, her hair bad, everything permanently smell bad, she'll lose friends over it, too. And health if she keeps it up, it'll take a toll.3. Squeal on her! I don't care! Tell her parents, and get them to somehow find out, without her knowing you filled them in. This is serious. Smoking is an addiction. Addictions are, well you know. It's not easy. She needs help, she needs love, she needs support. Do something.